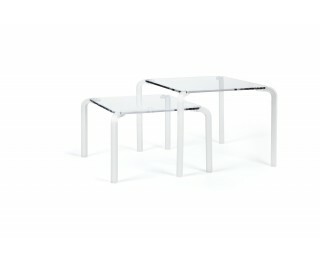 Small table, available in round, rectangular or square shape. Structure of methacrylate. Two heights.